Who are the owners and how can I contact them? What is the owners’ track record? Do I need to pay money up front? Are they asking me for personal/financial information? Are there any upsells or hidden fees? Do they promise that I will become rich overnight? How long has the product/program been out? What do other people think about the product? Are they creating a feeling of scarcity? These questions will help you come up with the information you need to know to determine whether you’re in front of a scam or not. Once you know what you need to find out, it’s time to do some research about the product so you can answer the key questions! It’s important that you get to know who created the company/product, their main purpose and ways to contact them. Scammers usually steal identities or pretend to be someone they’re not so they can convince you to fall into their scheme. Their main goal is not to help you become rich, it’s to steal your money instead. Unfortunately there are very few people who are going to volunteer vast amounts of their time and effort to help you succeed. If they don’t provide any contact information or don’t offer a way to help you with your questions or doubts, suspect them. Find about their reputation. 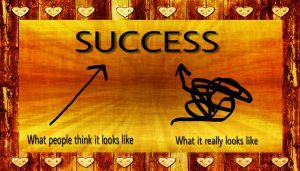 Are they successful? Have they created another company/program before? If they have been involved in another program/company which resulted in a swindle then they’re probably doing the same again. If paying money up front is a requirement to use their services, it’s very likely that it’s a fraud. More often than not, scammers just want to take your money and run. However, there are legitimate businesses that require an initial investment to get started, so paying money up front does not equal scam. It’s essential to make sure to know what you’re paying for! Be careful with the information you share. There are scammers who will claim that you can try their services for free if you give them your credit card or bank account information so they can use it for identity theft! You need to know about all the costs involved in the opportunity/program. Fraudsters will claim that you can get started for free to make you join and once you have signed up, they will make you pay to use their services. They can even tell you about all the upsells and once you have paid, they will end up giving you a poor quality product or in short therms, they won’t give you what they promised. 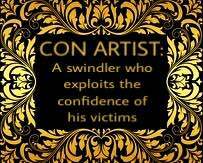 Con artists will prey on your hopes and dreams of being rich with only a couple of clicks. They will do their best to make you believe that you can make a lot of money in a small amount of time, as long as you do what they tell you. Never trust someone who says you can get rich quick, there’s no way to earn tons of money without doing nothing. If you want to become wealthy, you need to put in the work! Before joining a program/company, you need to take into consideration the business model. Is there a product to sell? Or is it needed to recruit new members in order to make money? When there’s no product and the main focus is on recruiting, the business model won’t be sustainable in the long term. Get to know what the product/program includes so you can have an idea of what you’re in front of. If they don’t explain what they have to offer or how their product will benefit you, it’s probably a scam. It’s also important that you find out how long the product or company has been in business. The longer a company/product has been out, the less likely it’s a scam. In case it’s a fraud, it won’t last long. When fraudsters are caught, they try to disappear without a trace and if they don’t go to jail, they’ll eventually come out with a new way to scam you. Search the Web to find references from people who have already tried the product or have been customers to the company and see if you can contact them privately or interact with them. Con artists will create false identities and make up fake positive comments to make it seem like their product is awesome. Another sign of a scam is a buy-now statement like “I can’t keep this information available forever, so you have 10 hours to make your choice.” or “There are only 3 spots left. Hurry up and sign up now!“, but if you leave the page and check it out later you’ll see it says the same. Scammers create this feeling of scarcity to make the item seem more valuable so people fall into their scheme faster. See discussion: What do you ask before joining an online program? As you can see, fraudsters are capable of doing anything to take your hard-earned money. Before you invest in anything, ask yourself the key questions and find answers to those questions to make a final decision. 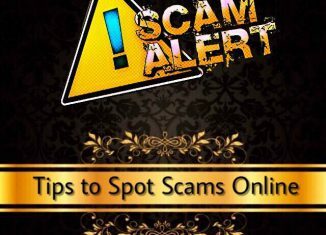 I hope this article was helpful to you and that you will never fall for scams! If you’re really serious about building a business or making money online, I suggest that you check out this article I wrote about my favorite online business program & community or you can just click here to get started for free now! Smackdown Profits review – Is it a scam? Is Profit Countdown a scam? Know the truth! 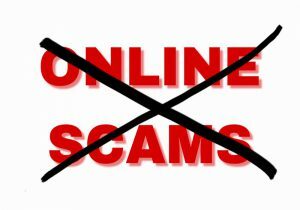 Thank you for a well written article, there is a lot of Information about how to spot scams online, which caught my interest, especially, Protect yourself from scams area, great information.. I also like the way your pages are set up, and it is easy to find information. Once again thanks for a great article. I found all your word useful to extent that I would like to beftriend you for good! I think you don’t mind helping me so please send me your WhatsApp or Fb! If you’re starting out and are looking for a safe place where you can learn more about making money online, I recommend that you read my review of my top ranked training platform. It’s where I got started back in 2016 and have learned a lot and also made money! I wanted ur private help that’s why I asked your Fb address or WhatsApp numb! But I can see neither in ur reply text box! I actually answered you. If you want my private help, you can contact me via my Wealthy Affiliate profile or just send me an email via the contact form you can find on the homepage. i did all this bullshet with earnfast. online. send them email, generate 100dollars etc etc. Now what will happen all my personal money bank related apps nd passwords in my mobile? pls guide. If you didn’t give them the password that you use for your email address or PayPal account, it will not happen anything. If you gave them the same password you use, I suggest that you change your password because these scammers might try to access your account. Insiders Cash Club is a poor quality program that I reviewed some days ago. Here you can check out the review. Kids Earn Cash review – KidsEarnCash.com SCAM EXPOSED! UGLY TRUTH here! Online Millionaire System review – Is it a scam?